The glycemic index (GI) provides a measure of how quickly blood sugar levels rise after a particular food is eaten. The effects that different foods have on blood sugar levels can vary considerably. This index estimates how much each gram of available carbohydrate (total carbohydrate minus fiber) in a food raises a person’s blood glucose level following the consumption of the food, relative to the consumption of pure glucose. Glucose has a glycemic index of 100. Check out our glycemic index food list. Typically, most GI indexes only contain one value per food. However, the actual GI of a food can change based on several variables particularly including ripeness, preparation, and storage methods. Also, most GIs do not take into account glucose levels after two hours. The glycemic load index is limited in that it does not take into account the amount of the carbohydrate actually consumed. Therefore, the glycemic load index attempts to remedy this by multiplying the glycemic index of the food eaten by the carbohydrate content of the actual serving. The paleo diet is largely popular especially due to its selection of low-glycemic foods. Want an easy way to know what is and isn’t Paleo? 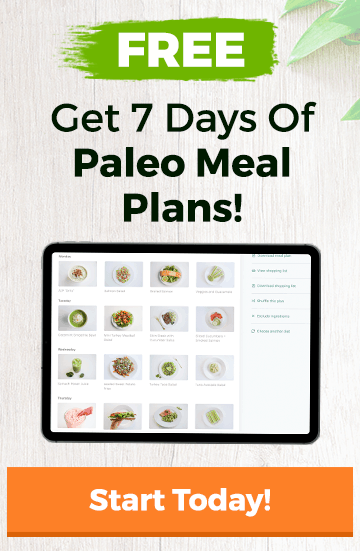 Download the Paleo.io app – the #1 Paleo Food List app. The easiest way to determine the GI of a food is to use a credible GI chart like the one below. Please note that this chart is absolutely MASSIVE. 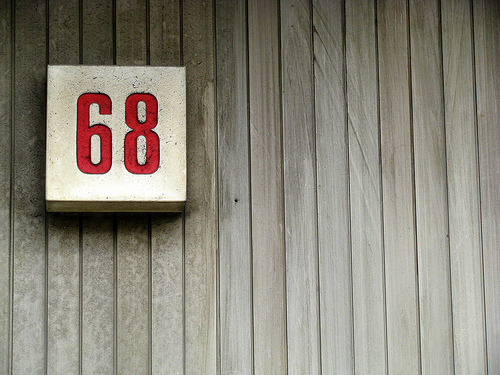 Feel free to right click and download to peruse at your own ease. In addition, to dive further into the GI Index, check out some of the informational videos below that help explain the concept and the purpose of the index. 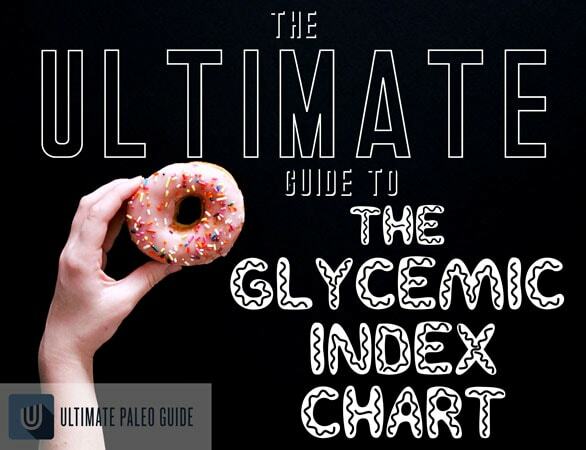 Also for a complete breakdown of the index, also check out our complete glycemic index food list. Finally, check out the following links for more information on GI. This site is a god-send! I have been struggling for three weeks now trying to understand the glycemic index of foods as I am not on a low GI diet from doctor recommendations. My husband and I always thought we were eating healthy by buying locally sources foods, grass-fed/vegetarian fed meats, low-processed foods, etc. But what I didn’t know what the real balance of carbs in foods. And trying to discover and decipher it all on your own can be QUITE the task. I was beginning to just give up on foods in general and eat whatever – not feeling inspired or confident in my choices. With all of these resources in one page I feel like I can finally feel confident about what I am eating again. Thanks so much!! !